Well Scarlett recently had a first haircut. I was excited because she was going to have healthy hair and something fresh. Up in the chair and ready for a haircut. I didn’t get nostalgic and weepy that she was going to lose her curls. That she was going to get her haircut, I love getting my haircut. To be honest, her hair was starting to look a little unkept. I called and made an appointment at Lizzy Lee and Me, where they specialize in cutting kids hair. They were absolutely fantastic. Very patient. Ever so accommodating. Lots of toys to play with and hold while she was getting her haircut. 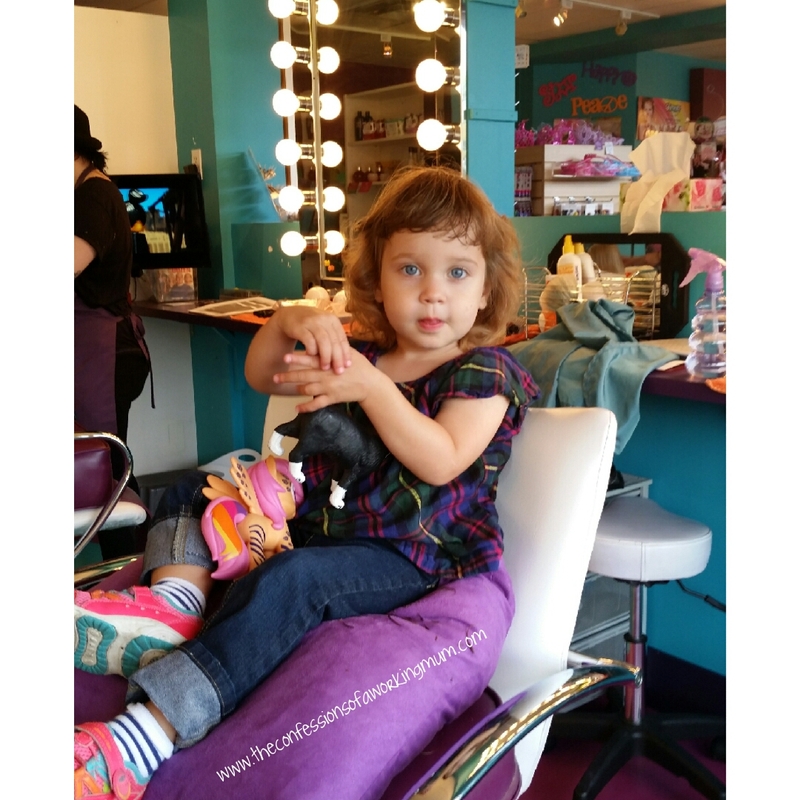 Scarlett got to pick a movie to watch while getting her hair done (of course she picked Dora). I was very impressed with the stylist, the amount that kids move around, and yet there haircut comes out looking great. Dora is a magical show, so are toys. Scarlett sat there like a big girl. Her cape (which she loved) stayed on the whole time. I think she thought she was a superhero or a princess. She was so proud sitting there, kept telling her Dad and I, “I’m getting my haircut”. She said it with such pride and always with a smile. She kept cleaning the hair off of her cape. Such a little cleaner. It wasn’t until the stylist was done and smiling and said “Mama, look! Mama Look! 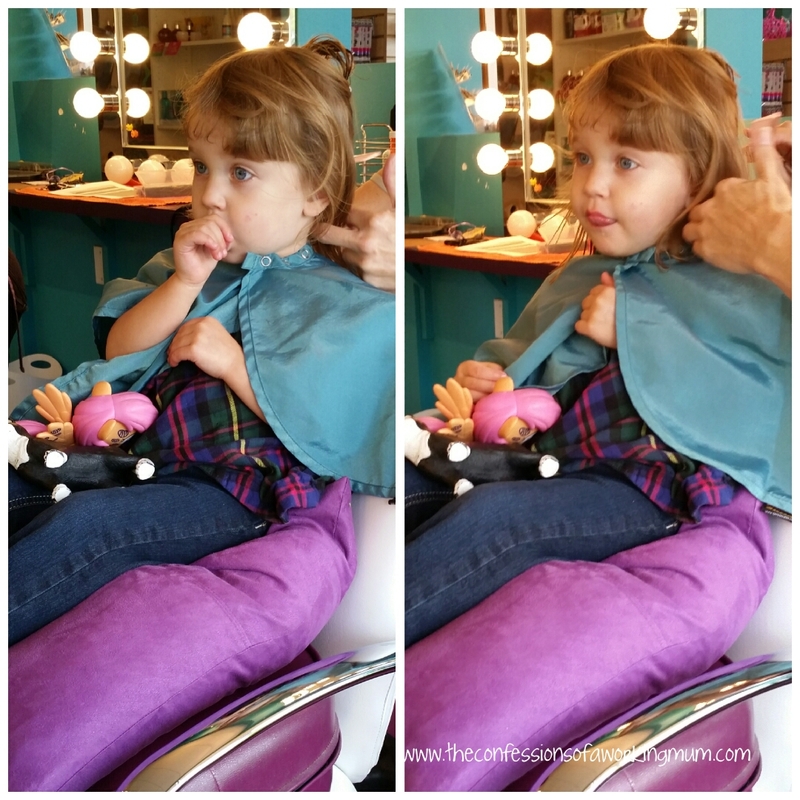 I got my haircut.” That I had to fight back the tears and that gushing Mum moment. I didn’t expect to be so emotional. I don’t think this emotional moment had anything to do with me being pregnant. She looked at me and she wasn’t a baby anymore, she is a big girl. Scarlett looked so much older, she looked grown up. It wasn’t the fact that it was her first haircut, I just saw her growing up a little. As a Mum, I see her everyday, so I don’t notice that she is getting taller or that she holds her fork a little differently. I don’t notice how long her hair is getting because I see her everyday. I didn’t notice the little things, how well she can say bottle now, it’s not buba anymore. But when I saw her with her new hairstyle, I saw it all. My beautiful little girl, looking all grown up with her new do! All because of a haircut, I can’t call her a baby anymore, because she’s not. Yes, she is only 2 but she is such a grown up for 2. When did you realize that your little one wasn’t a little baby anymore? Were there tears? Or giggles? 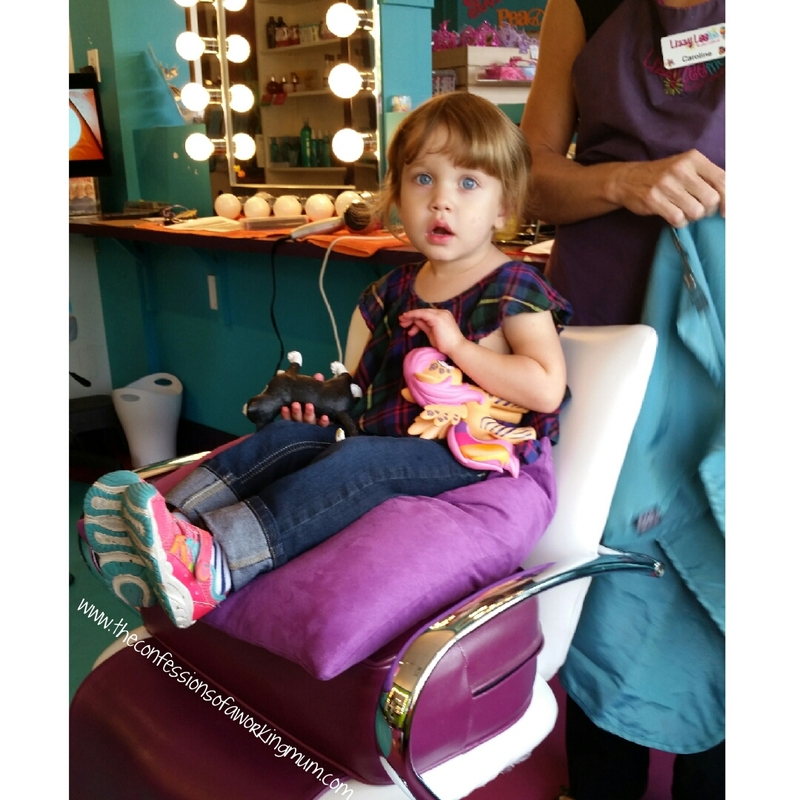 Oh, that first big girl haircut! It gives me a little tear just remembering it. 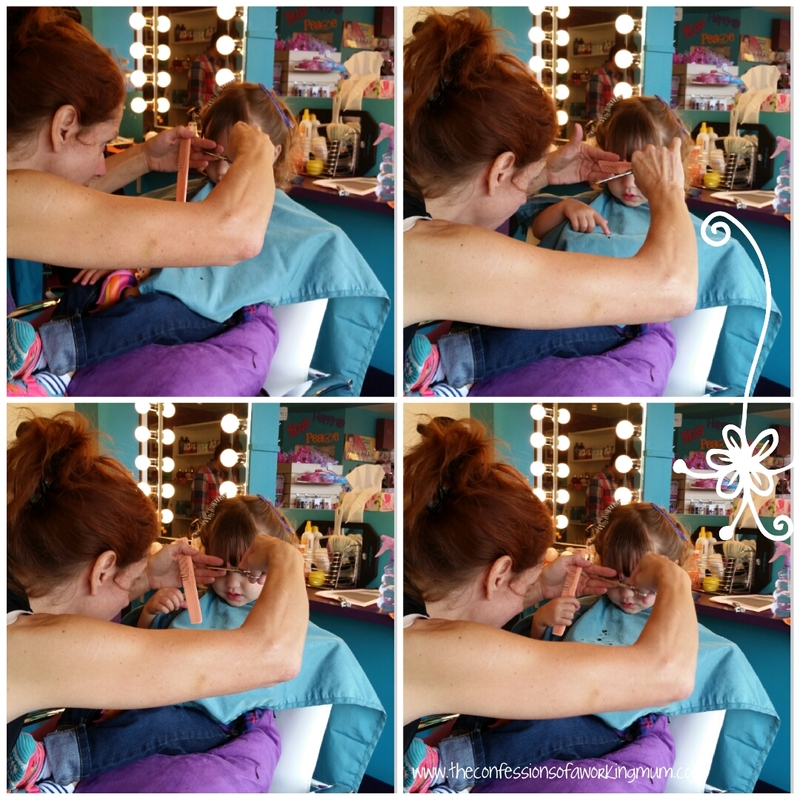 You’ve really captured the essence of being a mom – we don’t see them grow every day until something like a haircut reminds us that they’re entering a new stage of life. 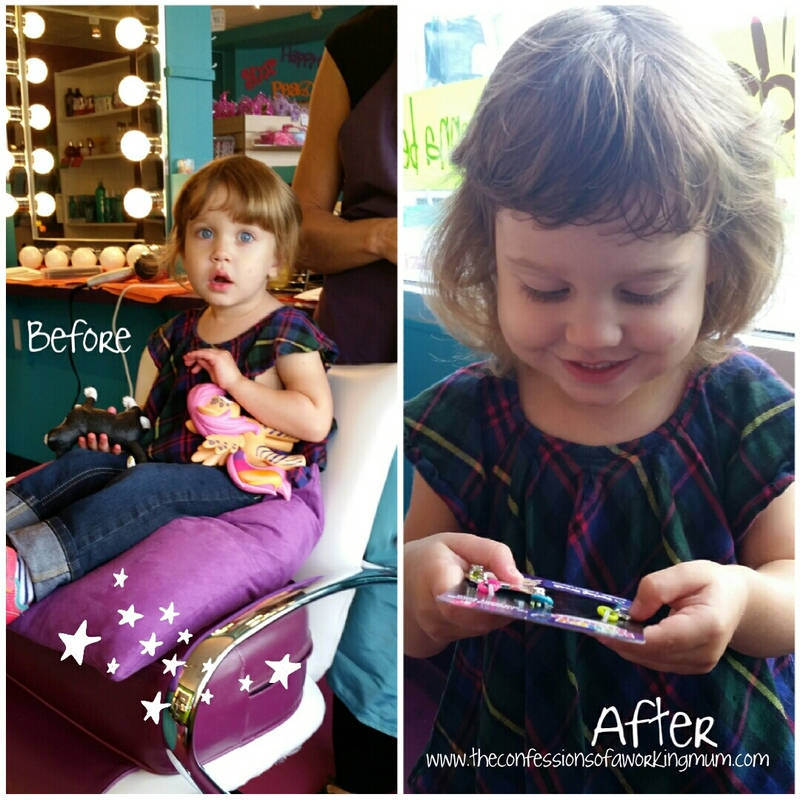 I was excited she was getting her first “real” haircut… and then it happened. Had to fight a tear. My own reaction surprised me.